As I have now had my Ph.D. recently registered with University of London, I want to take the opportunity to present a brief summary of it here. Obviously, in 346 pages, there is a LOT more to draw on from it. The subject of p2p-based file-sharing is a complex one, and one challenge was to concentrate all this complexity into a comprehensive – yet not overly simplifying – account. Please email me if you want a copy of the thesis. See my personal webpage or this blog for contact details. My thesis is about Swedish file-sharers’ own arguments and motives. I analyze how they justify their habits, and what they refer to. I interviewed Swedish file sharers and analyzed blogs, newspapers, debates and web comments. I placed great emphasis on connecting the arguments to various sociological theories of representation, agency, justification and morality, as well as to the actual technical, economic, historical, demographic and geographical conditions. As the actual p2p protocols (especially BitTorrent protocol) are so central to the drama, the sociologist’s role is to determine: What is BitTorrent? How shall we understand the “nature” of a network, and the way the users themselves constantly invoke this “nature”? Ontology – how reality is described and defined – becomes the crux of the debate. 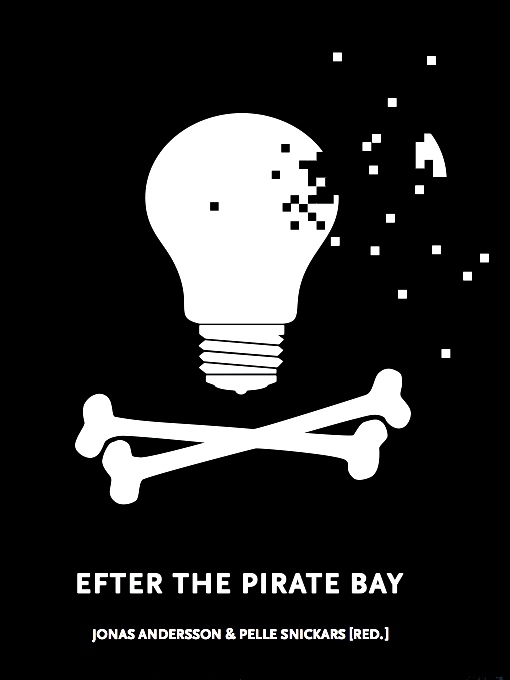 In September 2010, me and Pelle Snickars (Head of Research at Sweden’s Royal Library) released an anthology called Efter The Pirate Bay, a reader aimed at the Swedish general reading public, featuring a range of interesting authors on the subject of file-sharing, digitization, copyright reform and the “pirate” movement in Sweden. See this link for more info. Unfortunately, Efter The Pirate Bay is only available in Swedish, and no English translation is planned. However, the national public interest in Sweden has been considerable, and I believe that many of the insights that I draw on in my currently finalized Ph.D. thesis and in the book are of interest to the English-language reading public as well. The Liquidculture Notebook has been quite dormant as of lately. The reasons are many – I have been busy with relocating to Sweden, editing a brand new reader on The Pirate Bay, working as a teacher and translator. You can read more about it here (Jonas Andersson’s personal homepage). And, more importantly: In June 2010 I went back to London in order to get through my viva voce for finally getting that Ph.D. degree. My two examiners were Don Slater (LSE) and Jon Dovey (UWE). And I’m happy to announce that I passed my viva, with no modifications! During the summer and early autumn, the academic formalities have moved forward, very slowly, and I’m now about to register my thesis with University of London, and their Senate House academic archive. More publications are in the works. Please do not hesitate to email me if you are interested in a pdf copy.